This post is sponsored by Beech-Nut®, and I have received compensation in exchange for my honest review. All opinions expressed here are completely my own. Before becoming a mother a little over 3 years ago, I thought I had this whole parenting thing down-pat. I read all the books, watched all the how-to’s and could spat off ALL of the things I was going to do to make sure my baby was getting only the best in every area across the board. They say the ones who always know the most about kids are the ones that don’t have them. I always crack up at that, because I was in that boat for sure! I thought I knew it all, but then our little bundle of joy entered the world, and the whole game changed. When my oldest started eating solids, I stressed a lot about what I would allow her to consume. I had it in my mind that if everything she ate wasn’t 100% handmade by me, I couldn’t possibly be doing what was best for my child. Truthfully, I was exhausting myself with unnecessary fears and false realities by staying under the impression that I had to do it all in order my child to be happy. 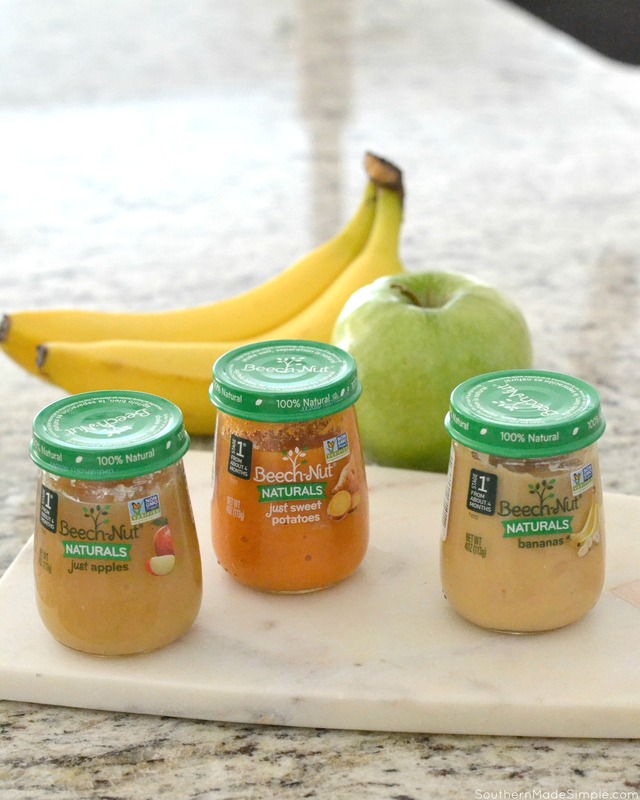 Sure, making your own baby food can be a great thing, but discovering that there was an option out there that is 100% natural, has nothing artificial and is made with real fruits and vegetables like I was using at home was the play that won the game in this mama’s book! 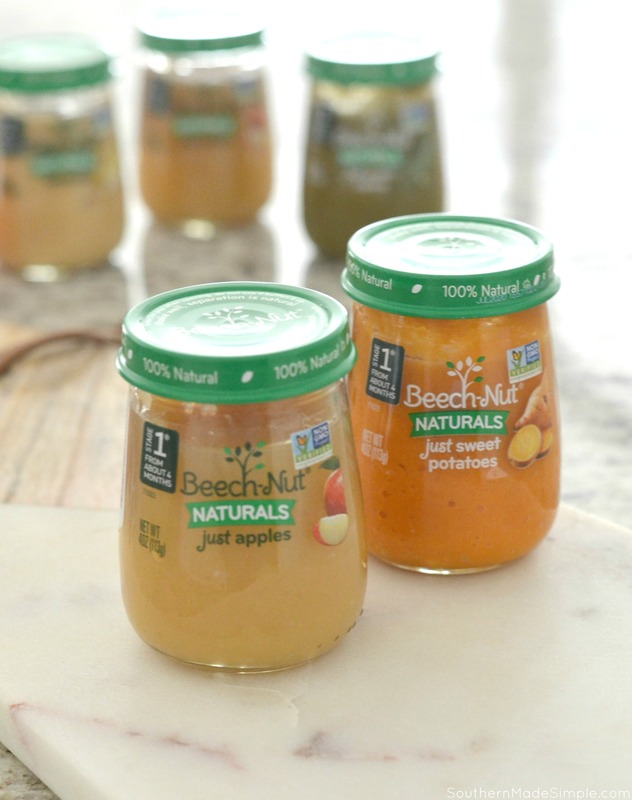 After doing a little research, I discovered a line of baby food purees called Beech-Nut® Naturals™, which is inspired by homemade and only uses ingredients that I can pronounce. 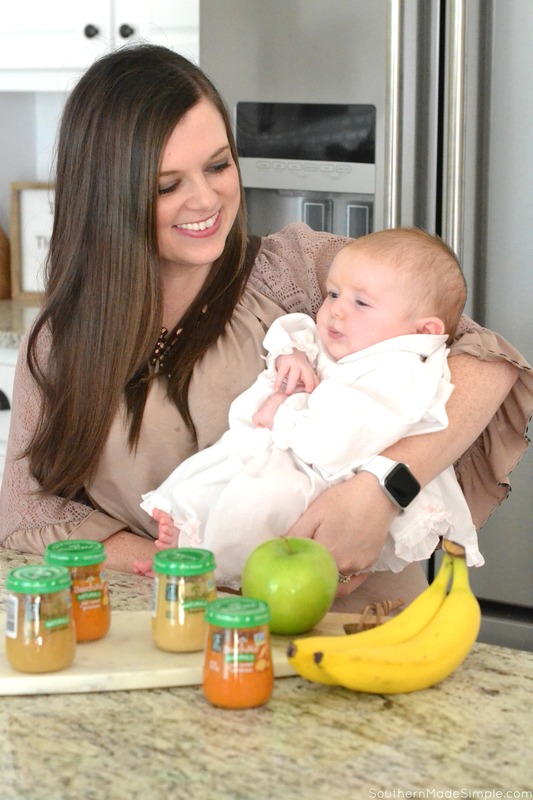 Feeding my firstborn Beech-Nut® Naturals™ and knowing that the ingredients used to make it were simple, natural and full of goodness for my baby made me realize that I don’t have to do cartwheels, flips and bend over backwards to give my daughter the best. Exhausting myself over finding the time to make her baby food every single time wasn’t always the best option for us, but knowing I had a pantry stocked with Beech-Nut® Naturals™ gave me such peace of mind knowing that my baby was going to be fed, happy and enjoy her meals every single time! 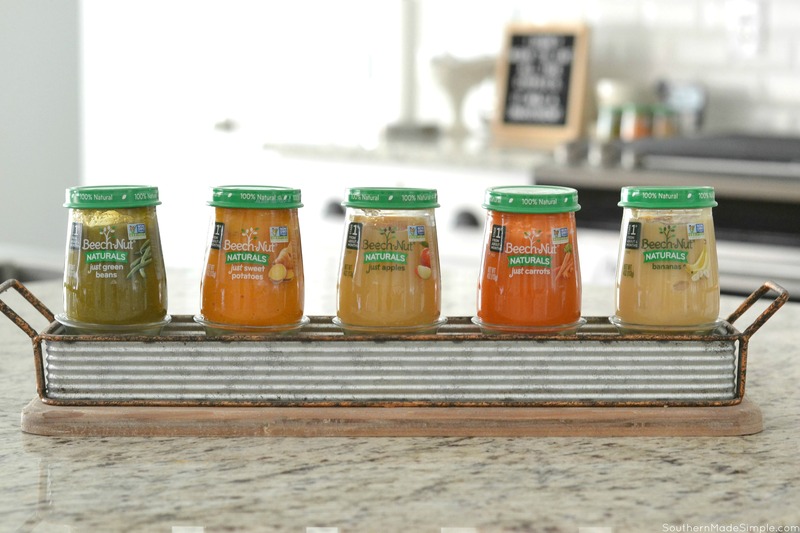 Now that baby #2 is quickly approaching the age of being ready to try solids, I’ve already begun stocking the pantry with these cute little honey pot-shaped jars of baby food goodness. My oldest daughter and I had such a fun time picking from all of the different flavors for baby sister to get to try. I very distinctly remember Beech-Nut® Naturals™ Just Apples and Just Sweet Potatoes being my oldest’s very favorites, so of course those were the first ones to come home with us. With so many varieties to choose from, I can’t wait to see what our little Laken picks as her favorite! Whatever she chooses, knowing it’s inspired by homemade and made with ingredients that are 100% natural and contain nothing artificial gives me confidence that I’m making great choices for my sweet little love. Beech-Nut® Naturals™ real food for babies™ is made with real fruits and vegetables just like you would use at home, and it’s also available in organic varieties. It’s proven itself to be a wonderful option for my family, and it could be a perfect fit for you and your family as well!